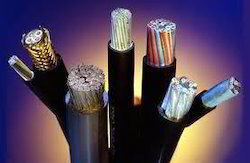 Cable and Wire are designed to assemble heavy duty applications and are highly appreciated by the professionals. This Cables and wires can withstand the unfavorable weather conditions hence they are highly demanded by our clients. These are also available in various sizes and thicknesses to suit the varied requirements of several industries. These cables and wires are insolvent to oil and water. These cables and wires may be installed as permanent wiring within buildings, buried in the ground, run overhead, or exposed. These products may be installed as permanent wiring within buildings, buried in the ground, run overhead, or exposed. These Submersible Cables are made from bright electrolytic grade copper and are highly acclaimed for their higher flexibility and homogeneous resistance. These Submersible cables are manufactured on highly sophisticated machines and withstand the need of submersible pumps. These cables are highly suitable for use within well casings for wiring deep well fresh or salt water submersible pumps. These are designed using superior quality raw and we provide these to our client's at the most competitive prices. Submersible cables are one of the advanced options that offer long lasting performance and quality services for a long period of time. Coaxial cables are used to carry information to great distances. These cables are applicable for TV operations, computer networking and other such areas. This entire series of cables is manufactured using premium grade raw material sourced from well-known merchandisers. These cables are widely admired for their high longer functional life and effective transmission of signal. These cables are easy to operate and maintain at multi-output centralize power supplies. 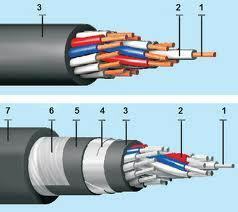 These cables are also provided in different models of best quality co-axial cables. 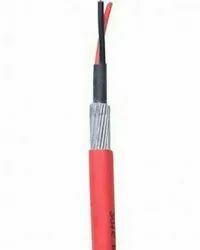 The InstrumentationCable-ShieldedCables are largely used for specific needs such as fire alarm in refineries, chemical, cement, steel, railways, thermal and gas power plants. This cable is valued by our clients for high durability and reliability. It is constructed using soft annealed bare or tinned copper conductors with flame retardant PVC insulation and jackets. The instrumentation and control system of process industry, power generation and distribution, other main industrial bases which require different designs of instrumentation cables. These cables prevent the shorting of adjacent shield and minimize the cross talk and ground loops. 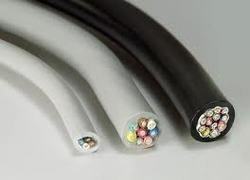 Flexible Cablesare made using copper conductor with PVC insulation. flexible power cables are used for portable devices, mobile tools and machinery. These cables are suitable for fixed wiring and flexible operation. These products have been developed for special use and can withstand the physical stress connected with moving applications like inside cable carriers. We fabricated flexible cables from superior quality of raw materials using sophisticated technology. Flexible cables is appreciated for being lighter, thinner, and more flexible and relatively longer flex life as compared to other cables. 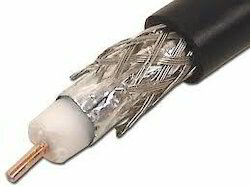 This cable has features like high conductivity and weather proof facility. Control Cables are used for underground as well as over head transmission of power to the control panels in power plants, industries, projects and all the electrical installations. 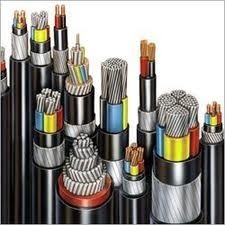 We manufacture best quality control cables for a wider range of applications in various industries. Control cables can be used on AC Voltage up to & including 1100 V or DC up to & including 1500 V. The Cables is provided with specially formulated PVC compound to facilitate not only ease in stripping but also to withstand mechanical abrasion while in use. Power Cables are designed to assemble heavy duty applications and are highly appreciated by the professionals.Power cable can withstand the unfavorable weather conditions are highly demanded by our clients. These are also available in various sizes and thicknesses to suit the varied requirements of several industries. These cables are insolvent to oil and water. Power cables may be installed as permanent wiring within buildings, buried in the ground, run overhead, or exposed. Power cables may be installed as permanent wiring within buildings, buried in the ground, run overhead, or exposed. House Cables are used for smaller size motorized tools, domestic electronic appliances, instruments of various meters and motorized lighting installations with rated specified voltage.Cables are available various thickness as well as colors, which depend on clients needs. These cables are manufactured from high grade raw material sourced from a reliable. 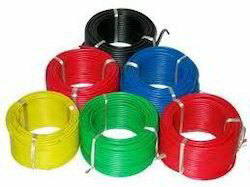 These cables can be availed in multi colors, thicknesses and specifications to suit the diverse requirements of our clients. Looking for Cable and Wire ?